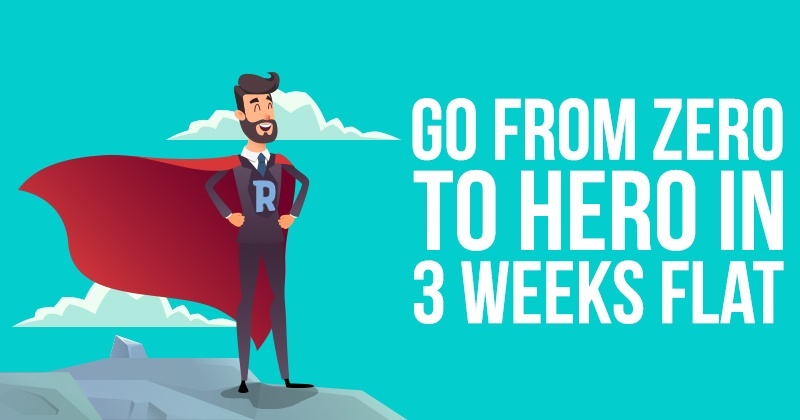 Go From ZERO to HERO in 3 Weeks Flat! It’s Monday morning, and you just completed an agonizing commute. You drive into the company’s parking lot, quickly scan the terrain and notice the cars of a majority of your peers — including all of last month’s top sellers — already parked. You’re on time, but one of the last to arrive. You slide out of your car and begin the long walk from the back of the parking lot to the office door. Through the side window, you spot the silhouettes of a few co-workers engaged in a pre-morning meeting conversation. You envision them looking at the updated sales board and giggling at your recent production. Yes, slumps stink — from all angles. Seemingly engaged in an endless trek across the parking lot, you begin pondering ways to reverse your recent downward trend. Every agent, at one point or another, faces a downward slide. Every agent, at some point, has a few consecutive “closed” deals fall through at the administration level, making a bad month worse. Collect yourself, and remain calm and confident. Go back to the basics. Use your experience, but dive into new leads with the passion of a rookie agent. In three weeks, you could go from ZERO to HERO. 1. Stay poised: Do what you must to lessen your stress level. Outlets outside the business are best. When on the job, focus only on the job. But when you step away from the office, engage in activities that help you recharge your competitive senses. 2. Go ahead, reach out for help: You pride yourself on your ability to see a deal through, to manage your own business and get the job done. Sometimes, however, you can find a bit of momentum-turning advice from a peer. Maybe someone you're friendly with, but typically don't socialize with, could provide a solution to close a tough deal. It’s OK — everyone needs help from time to time. 3. Remain confident, focused: Take a look at all of those tabs you have open on your computer screen. Now close them, especially social media sites and your personal email provider. Discipline certainly is a key to breaking a cold spell. Distractions, like social media — unless you're using it to promote your business — will only detour success over time. 4. Explore new, different opportunities: It could be time to alter your daily routine. Don't be afraid to try different approaches and a new mindset. If you don’t already, maybe you could get up a half hour earlier and go for an early morning jog. Maybe you should listen to a friend’s advice and attempt a different sales technique. Try varying leads sources. Create a new pitch. If you ever find yourself thinking you’re in a rut, a good first step might be to simply go out to a new restaurant for lunch. 5. Do your homework: Reflect on the things you excelled at when your sales — and confidence — were rolling. Examine your best uses of time recently? Be honest. Have they been “best practices?” Look back at previous successes. Did a lot of business come from a single source or activity that, perhaps, you have slacked off on lately? Maybe it’s time get out of the office and revisit the time-tested tradition of knocking on a few doors? 6. Develop a new plan of action: A routine, as we have explored, can lead to complacency. A string of successful sales come from fluidity — always positioning yourself to move forward on a potential deal. Try creating a new Activities Chart and stick to it for three weeks. Selling properties is a methodical business, with ebbs and flows. Assess what you aren't doing now and continue to check off daily activities on the list. 7. Remain steadfast: You became a real estate agent for a reason. Rekindle your professional eagerness to succeed and raise your personal expectations. Cold spells will eventually end if you do the right things. Be ready for when the tide turns — because it will. By doing the right things and remaining diligent, the drought will soon be replaced by a flood of sales. 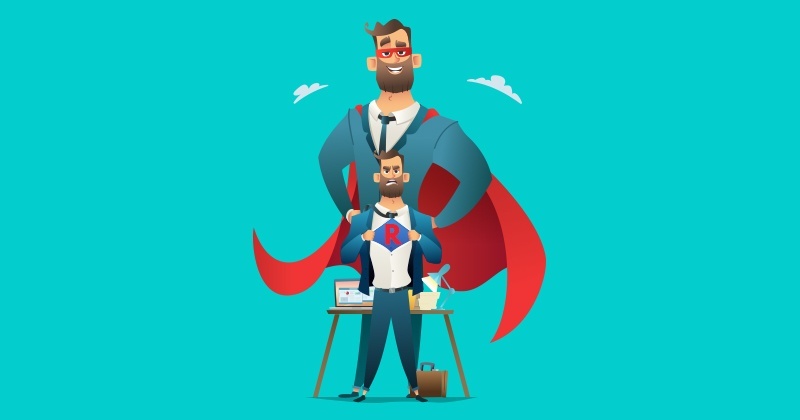 As you explore new strategies to regain your sales mojo, one of the first practices you should implement is our MyBooks program, previously known as Book Leads. MyBooks is a marketing tool for agents to license and promote themselves as published authors. With added authority, you can prepare to see a major spike in success. Among other benefits, as a MyBooks member, you gain access to 14 licensed real estate books, a Google-ranked website, a blog with more than 100 pre-written posts and templates for effective social media marketing. Yes, slumps stink, from all angles. But its crucial to remain confident in the face of adversity. Now is the time. You know what it takes to quickly snap out of a bad spell. Put your shoulders back. Keep your chin up. Walk briskly through the parking lot and strut into the office. Over the next three weeks, you’ll find a way to turn your cold streak into a distant memory.